Monkey Jungle – Family holidays to Miami will be highly amusing with visits to places like Monkey Jungle where the roles are reversed from the typical zoo environment. At Monkey Jungle the humans look out from cages while the monkeys roam free. You can print discount coupons when you visit their website ahead of time. This will help lower the costs so that you really can enjoy cheap holidays to Miami or cheaper at least. Jungle Island – Jungle Island is another can’t miss attraction for families traveling to Miami on holiday. This is one way to squeeze in a little education on your holiday to Miami without anyone in the family being any wiser. There are many experiences to enjoy and much to learn by this visit alone but this is only the beginning of the fun when taking cheap holidays to Miami. The Florida Everglades -If you have never experienced a wetland then you will definitely want to see the Florida Everglades for yourself during your travels. Holidays to Miami put you in the general vicinity and it is well worth taking a little time out of your travels to experience this ecosystem for yourself. If you want to enjoy a little eco travel during your family holidays to Miami, visiting the Everglades allows you to enjoy the best of what Florida has to offer. This area continues to be populated by Seminole Indians. This allows yet another learning experience from this beautiful and impressive landscape. Fishing -Fishing is another great way to pass your time while on holiday to Miami. There are many charters that can either be taken directly from Miami or after a drive down to the Keys, which are well worth the drive. In fact, hiring a car and driving down to Key West is nearly a must do excursion for Miami holidays. There are few sights on the planet that can match that of the Gulf of Mexico on one side and the Atlantic on the other. Besides, there is no place better to enjoy genuine Key lime pie. Truly though, the nightlife of South Beach takes center stage for most single adults taking holidays to Miami. 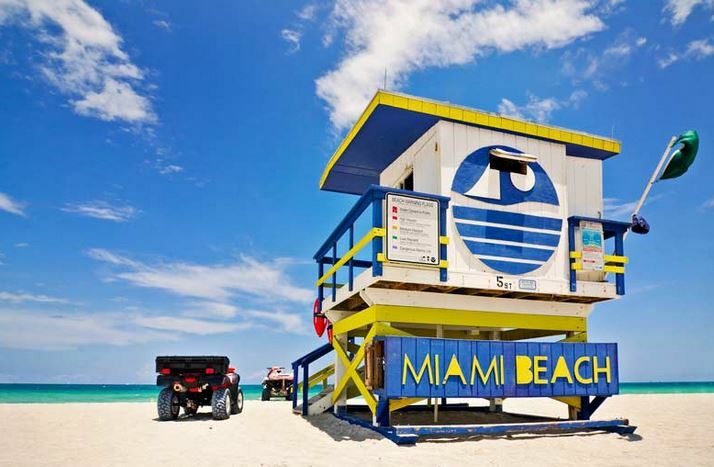 You can enjoy cheap holidays to Miami even when nightlife if your primary concern but if you are saving money to spend during your holiday, South Beach is a great place to spend it. The nights are long, the music is hot, and the view is phenomenal. Cheap holidays deals to Miami are the stuff that many dreams are made of. Whether you are traveling alone, as part of a couple, or with your entire family you will find many great adventures to fill your days and nights.